Published this week is a new book for Advent, with prayers and beautiful artwork to help us journey mindfully through those weeks. 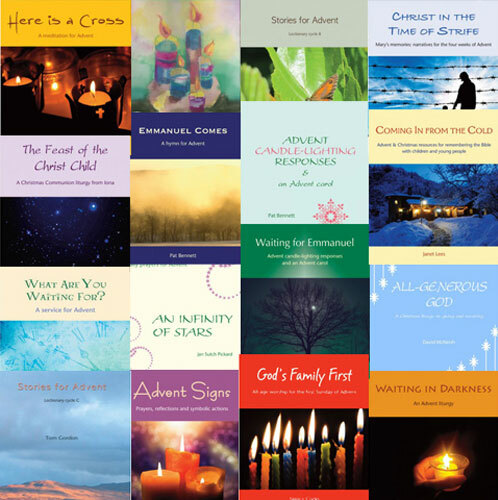 Also we give a reminder of some more resources for Advent and Christmas. Ann Gerondelis is an author, architect and design educator in Atlanta, Georgia, where she lives with her husband and two daughters. She is the founder of Sketch Prayers Studio, which explores questions of the role of sacred communities, and the power of images in shaping perceptions of God’s holy imagination. Ann is a Friend of the Iona Community. Bible readings, reflections and worship resources for Christmastide from Iona Community members and associates to help you hear God’s Word through the commercialism of the season, the propaganda of the times; and to glimpse the sacred in the secular. Digital download: A series of prayers, reflections and symbolic actions for Advent that can be led by several voices. Three sections, focusing on John the Baptist, Mary and Jesus. 12 pages. Digital download: A resource for Advent and Christmas especially for those working with young people or children in a school, community or church setting – but also full of lively prayers, scripts and ideas for anyone looking to break out of a rut by using ‘the remembered Bible’. Digital download: An all-age service for Advent centred on light. It incorporates another of Nancy's ‘Fergie the Frog’ stories as a script. 14 pages. Another magnificent collection of seasonal resources from Ruth Burgess is on its way. Winter covers the months of November, December and January. 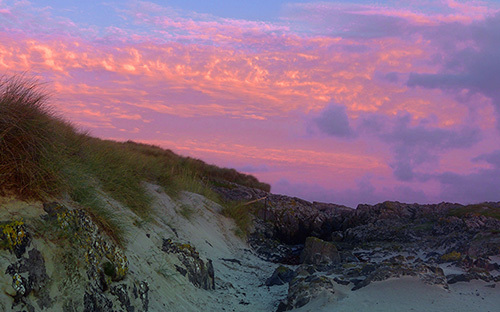 It includes prayers, stories, responses, songs, poems, reflections and meditations, written by Iona Community members, associates, friends and others, and the major Christian festivals of All Saints’, Advent, Christmas and Epiphany, as well as material for Remembrance, Blue Christmas, Christingle, New Year and Christian Unity. Resource books for spring, autumn and winter will follow. This book does not yet appear on our website and probably won't be available until mid-November (apologies! ), but if you would like to order it in advance, you can do so by phone to our office – +44 (0)141 429 7281 – and it will be sent out to you as soon as it is published. Price £14.99 plus p&p.